Abe Kōbō. Richard F. Calichman, tr. Sometimes called “the Japanese Kafka,” Abe Kōbō is primarily known for the audience-dazzling science fiction and plays he produced in postwar Japan. The essays collected in The Frontier Within display his abilities both as a serious intellectual thinker and entertaining popular writer. 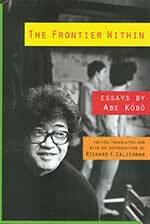 Kōbō turns his gaze to imperialism, US–Japan relations, literary theory, and historical materialism. 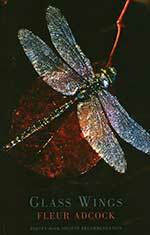 A whimsical collection of poems connected by author Fleur Adcock’s observation and interaction with arthropods all over the globe, from her native New Zealand to her current home in London. The simple format makes it easy to understand the stories of people who have touched Adcock’s life as she, in turn, reaches out to those closest to her. Mongo Beti. Pim Higginson, tr. Experimental and controversial, the 1971 groundbreaking Cameroonian novel Ville cruelle is finally available in English translation. The conflict between the expectations of a traditional French readership and the honest representation of postcolonial Africa are reflected and explored through the story of the villager Banda and his journey through a changing Africa. 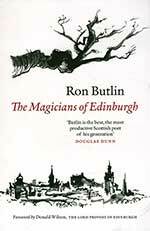 This collection of poems from Edinburgh’s poet laureate gives a fresh face to an old city. The Magicians of Edinburgh is a moving presentation of the Scottish capital city, exploring many of its most characteristic attractions: the Parthenon on Carlton Hill, the Walter Scott Monument, and (of course) whiskey. This new collection is particularly timely as Scotland considers the future of its national identity. Dazai Osamu. Ralph McCarthy, tr. 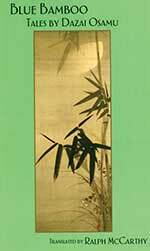 The seven stories in Blue Bamboo were originally translated into English in 1993 but have been out of print for several years. This delightful new translation showcases Dazai Osamu’s masterful prose style in stories ranging from traditional folktales to imaginative autobiographical sketches. 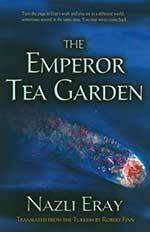 Each story is prefaced with helpful and engaging background notes by the translator. 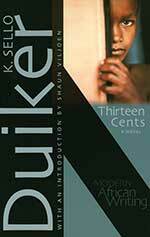 Written in a combination of Afrikaans, local dialect, and South African English, Thirteen Cents is the disturbing story of Azure, an orphaned child eking out an existence on the brutal backstreets of Cape Town. Azure’s voice resonates with a disarming innocence even as he recites the horrors of surviving in a world of violence, gangsters, pimps, and pedophiles. Nazli Eray. Robert Finn, tr. 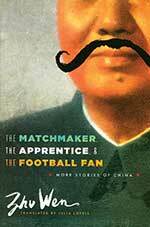 This intricate novel from Turkish writer Nazli Eray is a postmodern gem. Set outside reality as often as in, the book follows an extraordinary cast of characters as they come to terms with romance, history, and everyday life. Through its bizarre twists and turns, Eray’s imaginative book illustrates our own interconnectedness in an increasingly chaotic world. The cold winter of Chicago finds fifteen-year-old Angel still burning with the inherited injustice of Filipino “comfort women” during World War II. 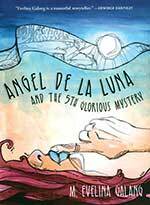 When her father leaves, it is up to Angel to maintain her family’s fragile existence. 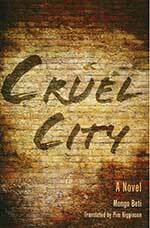 This young-adult novel is a raw and scathing exploration of the challenges faced by immigrant adolescents. 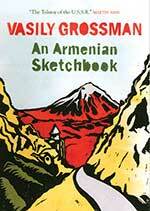 Vasily Grossman. Robert Chandler & Elizabeth Chandler, tr. Though perhaps best known for Life and Fate, this lovingly translated memoir by Vasily Grossman—written near the end of his life—gives the reader a rare look into his personal character. His vivid and warm impressions of Armenia are conversationally intimate and random, yet even with this chatty tone he reveals his deepest thoughts and dearest values. 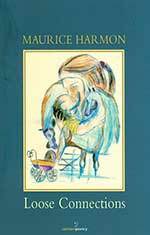 This verse collection by Irish writer Maurice Harmon takes the reader into the “inking depths” of human emotion and endurance through the mutable world of loosening connections. His easy and confident voice guides us on a tour of both satisfying and disturbing experiences that we can all relate to while remaining quietly celebratory. Gaute Heivoll. Don Bartlett, tr. 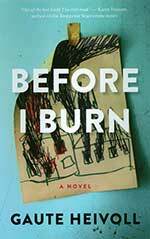 Based upon the historical Norwegian fires of 1978, this novel is as much about the author’s own life as the arsonist’s who staged the drama. Written in a clear, precise style, Gaute Heivoll uses diary entries, letters, and haunting prose to tell the story of being born and raised in the shadow of the fires and his own fascination with the stories, events, and people they affected. 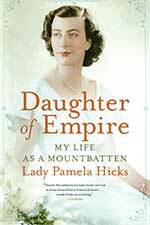 Described as “Downton Abbey meets Oscar Wilde,” this colorful autobiography by Lady Pamela Hicks is worthy of her illustrious family’s many achievements. Involved in several critical moments throughout twentieth-century Western history, Hicks gives us privileged access to such luminaries as Winston Churchill, Queen Elizabeth, Gandhi, and Nehru. 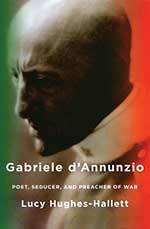 The controversial and charismatic Italian literary and political figure Gabriele d’Annunzio had a pronounced influence on the rise of fascism in the early twentieth century. He was a prodigious and talented author, playwright, and poet who lived his life as a “nonstop street theater performance.” Lucy Hughes-Hallett’s biography is a fascinating portrait of a man often regarded as both brilliant and odious. W. N. Herbert et al., tr. 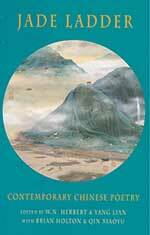 This collection binds together the many disparate poetic voices of China. Providing a revealing look at a changing culture, Jade Ladder represents a variety of schools of Chinese poetry including Misty, post-Misty, Fourth Generation, and more. This fascinating gathering of new and old voices is sure to please not only fans of Chinese culture but all who appreciate great poetry. Martin Jensen. Tara Chace, tr. 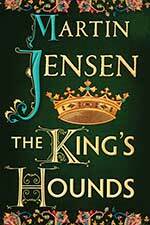 The first installment in the best-selling Danish historical mystery series follows two unlikely companions: Halfdan, a nobleman-turned-pauper in 1018 at the end of the war, and Winston, a former monk who is commissioned to paint for the new king, Cnut. When the two arrive in court, Cnut gives them the task of solving a murder and diffusing the dangerous political situation surrounding it. 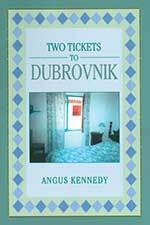 Set in the Croatian port city of Dubrovnik, Two Tickets to Dubrovnik is the vivid and captivating adventure of Australian wine writer Andrew Johnston as he experiences the contrasts of the rich historical background of the city and the recent upheaval of the Balkans. What begins as a routine writing assignment turns into an exploration of personal integrity when a family’s criminal background is exposed. Pascale Kramer. Tamsin Black, tr. 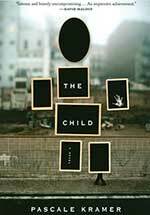 The Child is a raw look at the cycles of decay that stalk our lives—the violent deterioration of a low-income neighborhood, the physical degradation of a cancer-wracked body—and the unexpected sources of hope that keep us going. Simone and Claude have resigned themselves to quiet despair when a young boy arrives and brings renewed life to their home. Dorothy Kozeny goes halfway across the world in the search for truth, from Ohio to Laos, to uncover what the Air Force tried to hide about her dead son. She enlists the help of a local guide and treks deep into the mountains and villages of Laos. 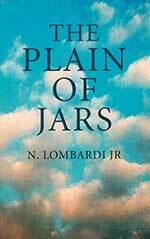 Heartfelt, rewarding, and at times hilarious, The Plain of Jars is a compelling novel. This breezily modern take on Heroides is a delight. 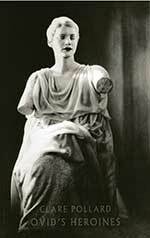 Though criticized and overlooked, Ovid’s transvestic, lovelorn letters from Greek heroines to their absent heroes give an enlightening perspective to the well-known stories. With fresh language and form, Clare Pollard effortlessly brings legendary Greek and Roman characters like Penelope, Dido, and Medea, and their sorrows, out of myth and into the twenty-first century. Rodrigo Rey Rosa. Jeffrey Gray, tr. A Colombian tourist in Tangier who has lost his passport carries an owl through crowded city streets. 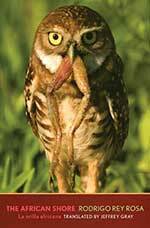 A young shepherd, whose heart is set on finding his fortune in Spain, sees the owl and decides to steal it. A curious tale of the violence, mistrust, and destruction one inevitably finds near borders, Rodrigo Rey Rosa’s latest novel is a dark and intriguing travelogue. Zeeshan Sahil. 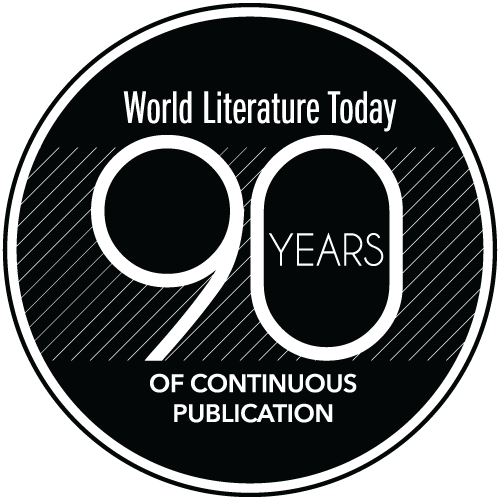 Faisal Siddiqui et al., tr. 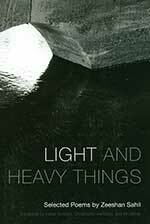 Translated from Urdu, the short poetry collection Light and Heavy Things is remarkable in its combination of simplicity and achingly beautiful imagery. War and poor health besieged the Pakistani poet Zeeshan Sahil (1961–2008), but his spirit continues to shine brightly through these poems, illuminating a path of steadfast hope and affirmation of life. 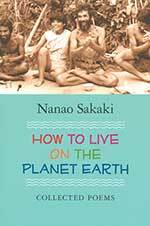 Japanese nomad, nature-lover, and poet Nanao Sakaki gives us a collection of poems from his global travels. Each piece captures the observation of a simple beauty provided by the earth and catches the reader’s breath, leaving one wishing to have been in Sakaki’s shoes every step of his incredible journey. Parinoush Saniee. Sara Khalili, tr. 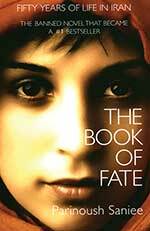 Massoumeh Sadeghi, the teenage protagonist of The Book of Fate, always dreamed of getting a university education. Instead, she was forced into an arranged marriage with a man who lived a dangerous life in Tehran as a political dissident. The trajectory of Massoumeh’s life takes an unexpected course during fifty years of Iranian social and political upheaval. Frank Schätzing. Shaun Whiteside et al., tr. 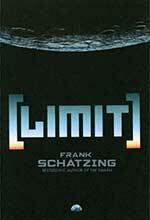 The pressing need for an energy source to replace earth’s finite and dwindling fossil fuels brings international power politics, cyber warfare, and a full cast of fascinating characters together in German sci-fi writer Frank Schätzing’s latest epic volume. Conflict over control of the newly discovered resource along with the potentially catastrophic danger of transport from the moon to the earth keeps the story moving at a rapid pace. A vibrant cast of characters weaves its way through Florence in the pre-dawn hours before the summer solstice: a Florentine peasant, an American therapist, an Italian professor, a Nigerian prostitute, her child, and a buried Etruscan all prove the soul of a city is in its people. 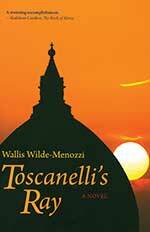 An intriguing portrait of that Renaissance gem of a city, Wallis Wilde-Menozzi’s latest novel takes us where no tourist trip ever could. Zhu Wen. Julia Lovell, tr. The second volume of short stories produced by Zhu Wen offers a quick, observant account of contemporary Chinese society. With political unrest, economic plunders, murder, and the omnipresent American influence, Zhu writes in a concise manner that will leave a lasting impression. Kristiina Ehin. Ilmar Lehtpere, tr. 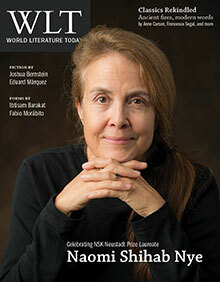 Quand on vient d’un monde d’Idées, la surprise est énorme / When One Comes from a World of Ideas, Vast Is the Surprise . . .
Jean-Paul Michel. Michael Bishop, tr.